Cat-Man-Doo is excited to introduce our newest treat. 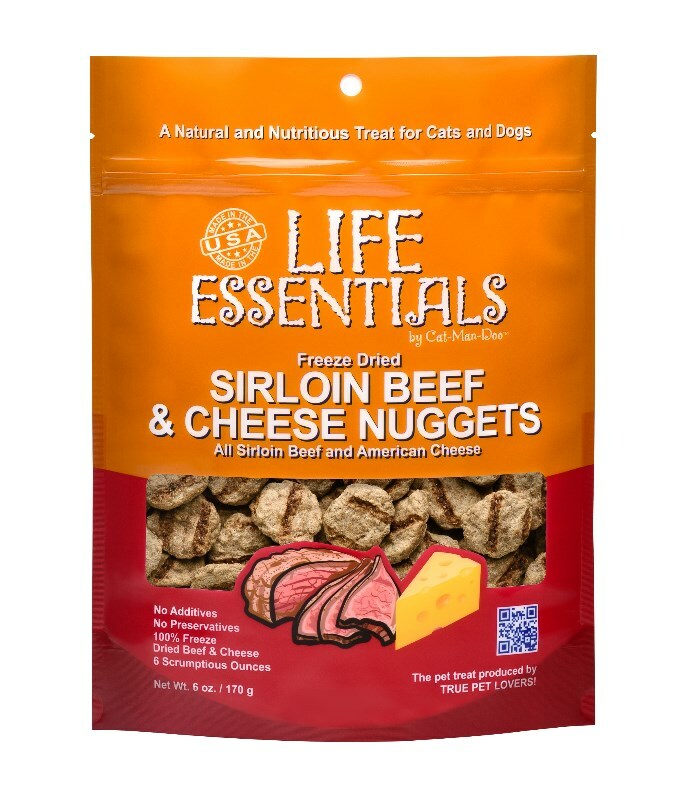 Your dog and even your cat will go crazy for these delicious Sirloin Beef Treats. 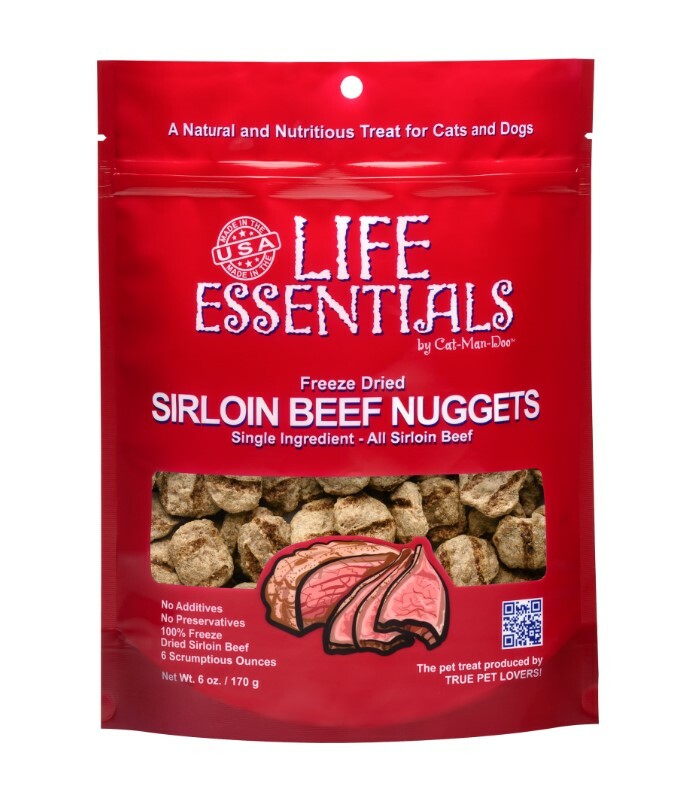 These human grade, FDA inspected, freeze dried beef sirloin chunks are the perfect way to add a scrumptious protein treat to your pet’s diet. 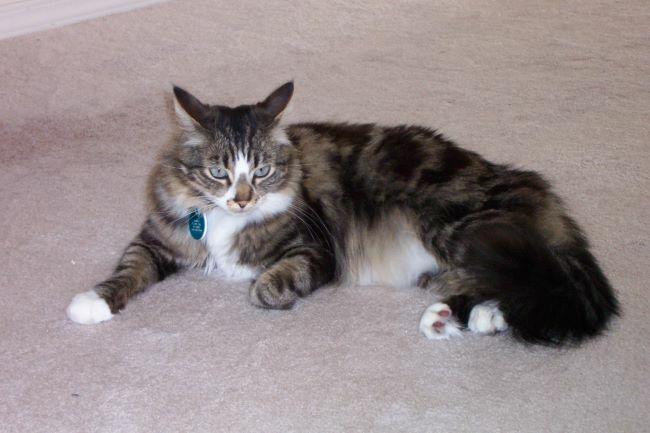 They are perfect for dogs and are soft and easily broken up for cats. 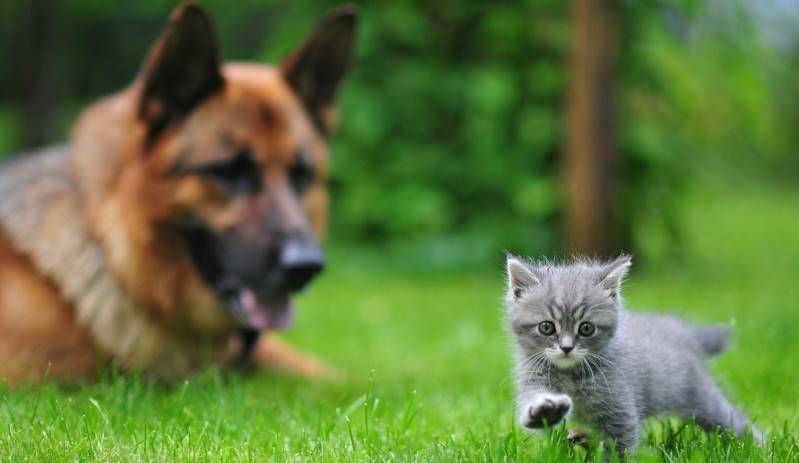 Cat-Man-Doo official, furry taste testers have given these treats 2 paws up!